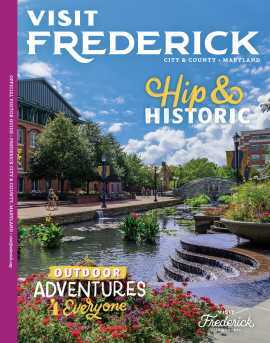 Whether you are traveling for business or pleasure, Frederick County offers a wide variety of hotel and motel accommodations that will surpass your specific needs. If your idea of exciting nightlife is a roaring campfire and sky full of stars, Frederick County is home to a wide variety of national, state, and commercially-owned parks where cabin and tent camping is available. Whether tucking in at an elegant Victorian townhome or a charming cottage strikes your fancy, wonderful accommodations await you. Historic bed and breakfasts located in towns and rural settings are ready to make your visit memorable.